Proving those patriarchal prejudices wrong for 45 years and counting are the consistently growing number of women entering the legal profession. The latest available data suggests that women account for nearly 40% of Ontario’s lawyers. Though gender parity in the profession remains elusive – women are indeed still more likely than their male counterparts to abandon private practice to strike that illusory work-life balance – young women are leaning in and now account for nearly 60% of the youngest lawyers in the province. But there is yet work to be done. Women still account for less than 20% of firm partners. This has significant implications for firms wishing to hold a competitive edge. If firms want to remain competitive, they will need to find ways to retain top female talent. 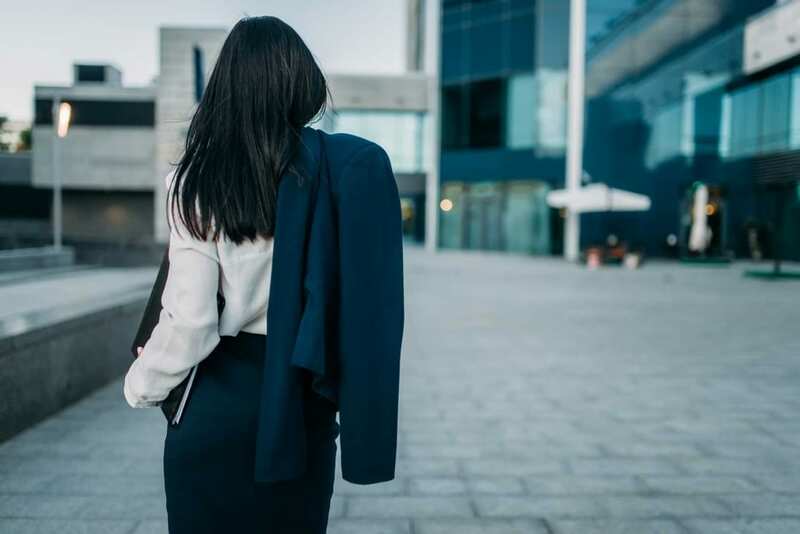 Just as it took a critical mass of women entering the profession for them to gain accommodations such as separate robing areas in court, the hope is that, as more women enter the profession, flexible working arrangements will become a priority. 1891: A year after graduating with a degree in mathematics at the age of 16, Clara Brett Martin petitions the Law Society of Upper Canada (LSUC) to be admitted as its first female law student. 1892: Legislation is passed permitting the admission of women as solicitors. 1897: Clara Brett Martin becomes the first woman in the entire British Empire to be admitted as a barrister and solicitor. 1918: White Canadian women become eligible to vote in federal elections regardless of their provincial enfranchisement. 1919: Law students Laura Denton and Helen Currie found the Women’s Law Association of Ontario (WLAO). 1940s: As male lawyers were shipped off to WWII, the LSUC calls on women to temporarily take their place. 1941: Quebec’s Bar Act is changed to allow women to be called to the bar. 1943: Helen Kinnear becomes the first woman to be appointed as a judge by the federal government. 1946: Gretta Wong Grant is called to the bar and becomes the first Chinese-Canadian women to practice law. 1954: Violet King Henry is called to the bar, becoming Canada’s first black female lawyer. 1975: Laura Legge is elected the first female bencher at the LSUC. 1977: Marion Ironquil Meadmore becomes the first Indigenous woman lawyer in Canada. 1982: Bertha Wilson is appointed the first woman to the Supreme Court of Canada. 1993: Kim Campbell, who had earned her LLB in 1983 becomes Canada’s first female prime minister. 2000: Beverley McLachlin becomes the first female Chief Justice of the Supreme Court of Canada. On International Women’s Day it’s a good time to take stock and see how far things have progressed over the years. At KCY at LAW we’re happy to continue that progression and if you need a lawyer for any personal injury or employment law related issues then call us today on (905) 639-0999 or contact us online to see how we can help you.